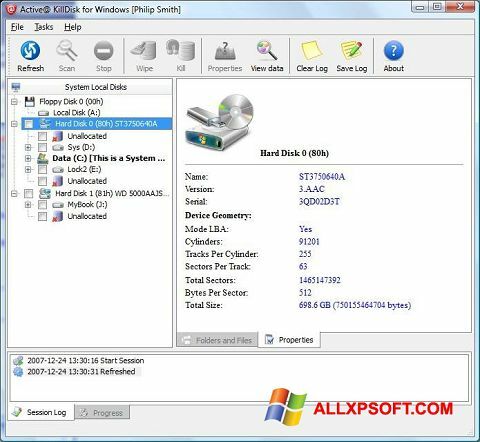 Active KillDisk for Windows XP - software intended for formatting, full erasing of solid-state or hard drives. The application can use the bitness, performance of components, which allows to achieve the most efficient and fast data destruction process. The program is perfect for the implementation of a full cleaning system disk or other external devices. You can free download Active KillDisk official latest version for Windows XP in English.